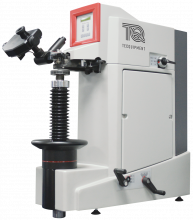 The materials testing and properties products offer a wide range of teaching equipment to demonstrate key materials properties; they cover Hooke's Law and Young's modulus associated with elastic properties, and stress/strain analysis. For more advanced learning, experiments available progress to hardness testing, complex analysis of stress and strain, testing specimens to destruction and various apparatus for learning about material fatigue. The range also extends into the area of structures and structural elements, providing supplementary products to our complete modular Structures range.